Announced in January 2013 and launched in May the same year, the IdeaTab A1000 from Lenovo is a tablet that does not support SMS or MMS. It also doesn’t support GSM voice communication, and its general functioning might be a little different from that of an IdeaPhone. However, most of its other features make it a lot more interesting that a smartphone. 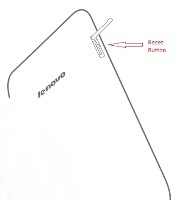 Our article today will explain why that is the case, but it will also show how to perform a hard reset on the Lenovo IdeaTab A1000. The latter is something that we will mostly focus during the second part of the article. However, it is important to know that this procedure is perfect for devices that show fatal errors, crush during games or app usage, are slower than normal and have other similar software issues. They can be solved by a master reset, as this one will bring the tablet back to factory software. Before moving further with the instructions corresponding to this operation, though, we’d like to take the time to talk a little more about this device. First and foremost, the IdeaTab A1000 comes with a TFT capacitive touchscreen with 16M colors and has the following dimensions: 199 mm x 121 mm x 10.7 mm. You will love its 1 GB of RAM, as well as the two options to choose from in terms of memory – 4 GB or 16 GB emmc. 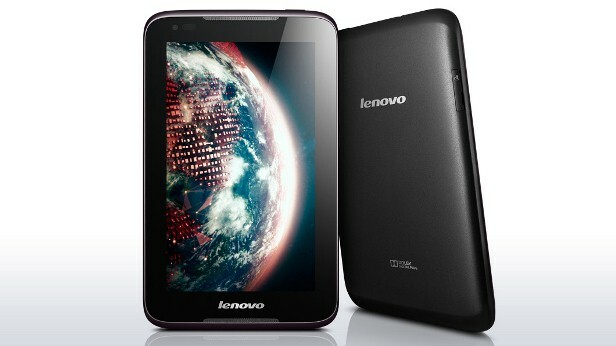 In terms of connectivity, it comes with a BT 4.0, a Wi-Fi hotspot 802, as well as USB 2.0 and GPS technology. It uses a Mediatek MT8317 as its chipset and is equipped with a dual-core 1.2 GHz processor. Jelly Bean from Android is its original operating system – version 4.1, to be more precise – and you can upgrade to version 4.2 of the same OS if you want. When it comes to IdeaTab devices, one of the easiest ways to do a master reset is by using the reset hole placed on the back of the tablet. This one can be pressed using a pin or any similar tool that is pointy enough to go into the hole and activate the reset. Once you press the key, it will take a couple of seconds for the reboot to reboot, and you will then have a brand new tablet to use. From the home screen, press the Menu button for more options. Touch Settings and select the option for Backup & Reset. Tap Factory Data Reset, and then choose to Reset Tablet. Read all warnings and tap Erase Everything to begin the restore. Press Power and Volume Up and hold for a few seconds. Wait for the Recovery Menu to appear and select Factory Reset. The same option can also appear as Wipe Data, and you can choose it using the Volume Keys. Confirm it with the Power button and allow the reboot to begin.